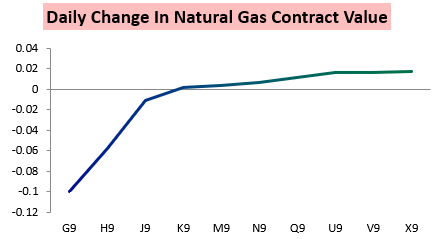 Stop us if you've heard this before: Cold later in January was delayed yet again over the weekend, sending the February natural gas contract over 3% lower on the day. The role of weather was incredibly evident with all the losses right at the front of the natural gas futures strip. 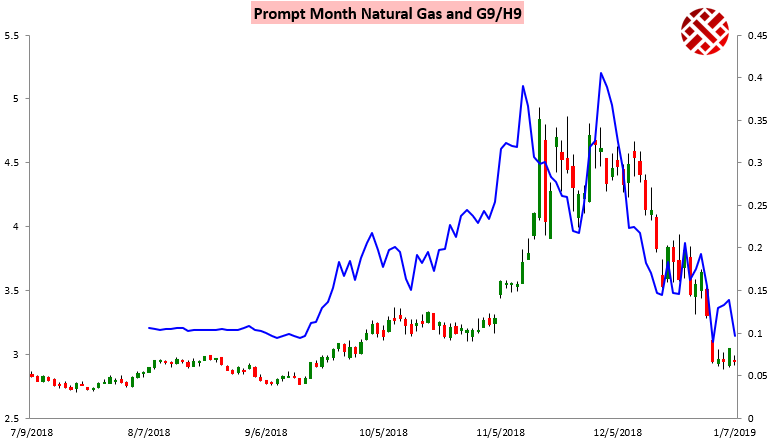 The result was that the G/H February/March contract spread approached lows previously set last week. Following a bearish EIA print last Friday, it was weather that seemed to keep prices buoyed. 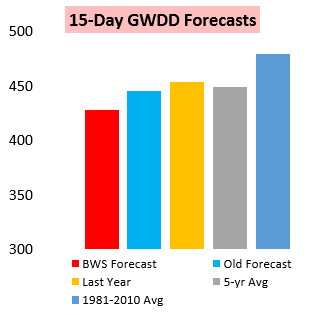 That catalyst was eliminated over the weekend, as in our Morning Update we highlighted a significant weekend GWDD loss which led to the Sunday evening gap lower. 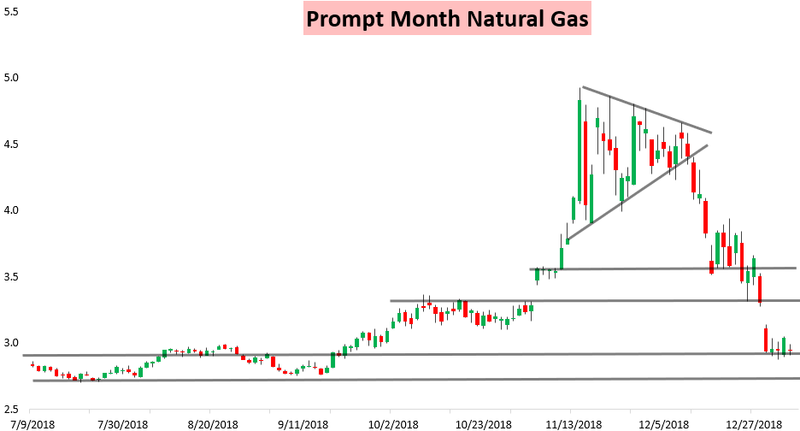 In our Natural Gas Weekly Update published after that Morning Update we outlined our expectation for how weather forecasts will change through the week as well as what kind of balance Thursday's EIA print may reveal following last Friday's very bearish print. Of note was a recent significant tick higher in natural gas Salt storage. 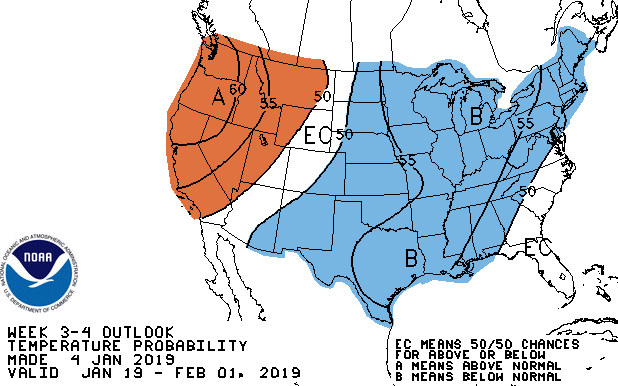 We also outlined what the latest Nino and tropical forcing developments could mean for weather model guidance this week, and compared our long-range forecast to the Week 3-4 forecast of the Climate Prediction Center. 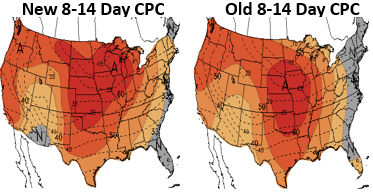 Finally, in our Afternoon Update we ran through afternoon weather model guidance and expected overnight trends, showing that generally afternoon model guidance fit expectations with Climate Prediction Center Week 2 forecasts little-changed.